FromNatureWithLove had a fantastic sale this month so I ordered coffee bean butter. The coffee butter is soft, melts on contact with the skin, and maintains a strong coffee aroma. This particular butter that I purchased is a combination of the cold pressed oil from roasted coffee beans hydrogenized with vegetable oils. It’s a pricey butter, but with the discount, I gave it a go. With it, I made coffee butter lip balm. 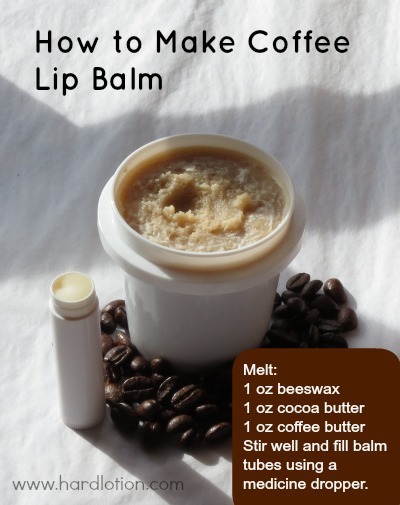 While it works beautifully to moisturize the lips, I concluded that the coffee scent on my lips is what I usually want to rid my mouth of after drinking coffee… so it seemed counterproductive to make a lip balm with it. On the other hand, I could see this selling really well in coffee shops. It would be very easy to add fragrances or essential oils like peppermint or use cocoa butter, and sell your own line of Peppermint Latte Lip Balm or Vanilla Mocha Lip Balm. Melt the ingredients in a double boiler. Stir well (cool slightly and add a few drops of essential oil, opt). Using a medicine dropper, drop mixture into lip balm tubes, filling 3/4 of the tube. Let it cool slightly before filling the tubes, to prevent a “hole” from appearing in the middle. Wait until completely cool before capping. Join our mailing list to receive the latest news and updates from MadeOn Skincare. 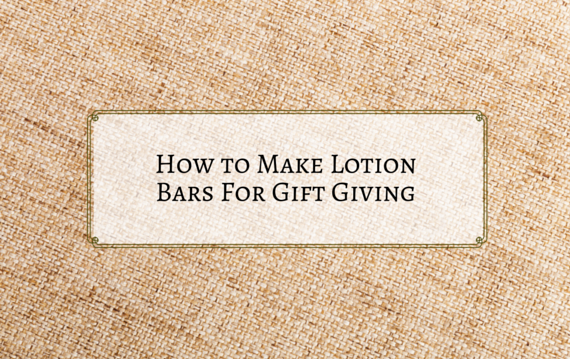 Previous post How to Make Massage Balm Next post Are Beesilk Hard Lotion Bars TSA-friendly? Yes! SPF? 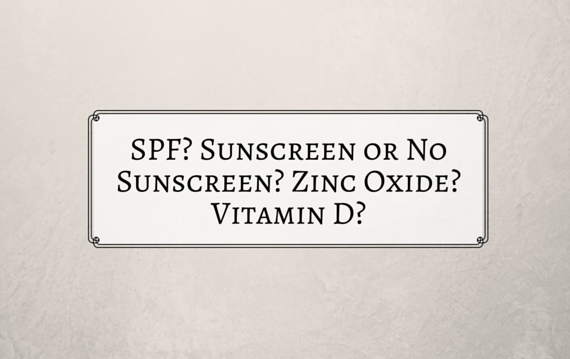 Sunscreen or No Sunscreen? Zinc Oxide? Vitamin D? Have you tried pure shea butter on your face?